Can I Get More Money for Being Hit by a Distracted Driver? The smartphone has given rise to a generation of multitaskers. It is the culture to be busy, in a hurry, and instantly available at all times. This has led to a pandemic of distracted drivers using their electronic devices behind the wheel. In recent years, the number of distracted drivers involved in accidents has risen dramatically. Every day, more than 1,000 people sustain injuries in crashes with distracted drivers. If a distracted driver caused your recent collision, our Miami motorcycle accident lawyers can help you find out if it could lead to a larger settlement. Distracted driving is a type of driver behavior that could lead to a lawsuit based on either negligence or negligence per se. Negligence per se is “assumed” negligence because the individual broke the law. Florida’s cell phone laws are relatively lax compared to many states. It is legal to talk and drive but not text and drive. If a driver was texting, emailing, using instant messenger, or otherwise sending messages on a cell phone at the time of your crash, you could potentially sue on the grounds of negligence per se for breaking the state’s cell phone laws. Proving this type of negligence may require accessing the driver’s phone records. A distracted driver may also be guilty of negligence in an accident, even if he or she didn’t technically break the law. For example, if a driver was eating while operating the vehicle and struck a pedestrian in a crosswalk, he or she may still be responsible. Eating and driving isn’t illegal, but it could constitute negligence if it creates an unreasonable risk of harm to others. The injured party would have to prove the driver’s actions made him or her incapable of driving safely, resulting in the collision. If a reasonable and prudent driver would have done something else in the same circumstances to avoid the wreck, the defendant may be at fault because of negligence. In many cases, a plaintiff can receive more money when he or she can prove that something distracted the other driver, compared to if the other driver was operating the vehicle diligently. It is typically easier to prove negligence in distracted driving cases using eyewitness testimony and other evidence from the crash. It may even be possible to sue a third party for causing the driver’s distraction. Some examples might be the passenger in the vehicle or the developer of the app the driver was using. There was a recent lawsuit against Snapchat for this reason, although the judge ruled in favor of the defendant. Another reason plaintiffs may be eligible for greater compensation in distracted driving accidents is the opportunity for punitive damages. Punitive damages are rare in personal injury claims, but they are possible. The court may award punitive damages to punish a defendant for intentional misconduct or gross negligence. Since cell phone usage is a commonly understood risk while driving, the courts may assert that the driver knew or reasonably should have known of the risk of harm and was therefore grossly negligent in performing the activity anyway. Speaking with a motorcycle accident attorney can help an injured party evaluate a specific distracted-driving claim in Miami. 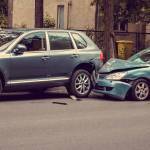 Rear-End Automobile Crashes – Who Is At Fault?